Hurricanes vs Capitals: Potential 1st Round Preview in a 2-Game Series - The Point Data-driven hockey storytelling that gets right to the point. 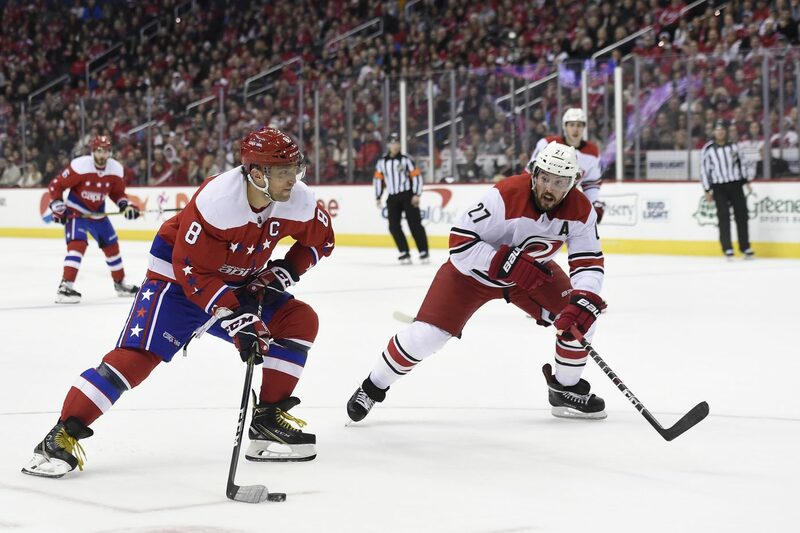 Tonight’s and Thursday’s Carolina-Washington games are not only important for the playoff position battle but could also be a preview of things to come in the 1st round of the playoffs. These two teams would meet if the Caps win the division and the Hurricanes claim the first wild card spot, which is currently where they both stand, or if Washington falls to second and the ‘Canes climb to third in the Metro. If one of these scenarios happen, these games will be the closest we have to a sneak peek into their best-of-seven series. The Caps may be the favorites as reigning champs, but you can’t count out the “Bunch of Jerks” who have been having a terrific second half of the season. Since January 1st, Carolina has posted a 26-9-2 record, 4th in the league, while Ovi and company are 20-13-5, placing them 10th. The Hurricanes have quietly been one of the best defensive teams in the NHL this season, ranking 7th in goals against and match-up better than you might expect with last year’s champions. Here are some of the things you should watch out for tonight that could be deciding factors in the post-season. Who Wins the Speed Battle? Everybody knows that the Capitals have a lethal offense, but they’re at their most dangerous when they can enter the zone with speed. 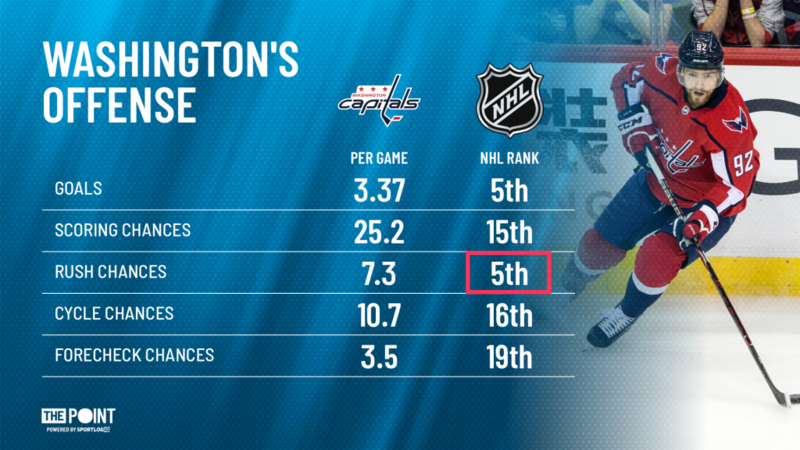 Led by Evgeny Kuznetsov’s blazing skating, they are one of the league’s best at generating scoring chances off the rush. Few teams can truly stop them, but the Hurricanes are among the most well-equipped team to at least attempt to limit them. They have one of the deepest defensive groups in the NHL and have been successful at neutralizing their opponent’s speed all season. 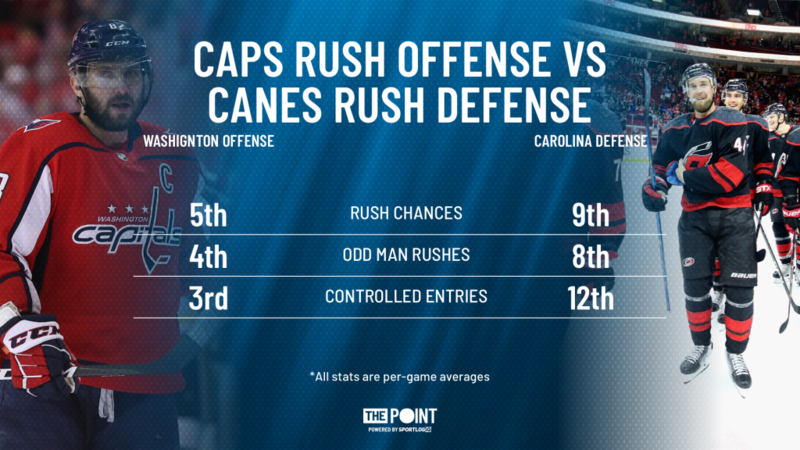 Now, don’t get me wrong, Washington still has the edge here, but the Hurricanes are one of the few teams that have the ability to slow them down. They will have to if they hope to pull off the upset. Who Wins the Special Team Battle? The special teams for the Hurricanes and Capitals are virtually mirror images of each other. Washington ranks 10th on the powerplay and 24th on the penalty kill, while Carolina ranks 24th on the man advantage and 8th while shorthanded. 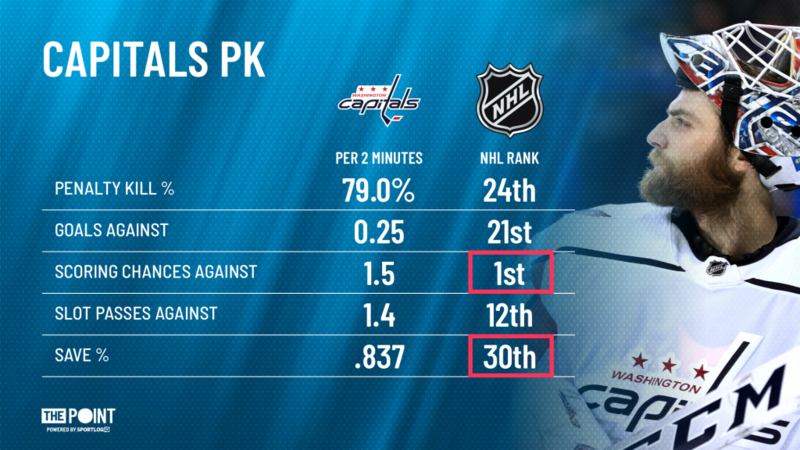 Now, we all know why the Capitals powerplay is so lethal (hint, it starts with Alex and it rhymes with Goalvechkin), but their PK unit has been better than their 24th place indicates. Which Braden Holtby will show up? Brayden Holtby hasn’t been his Vezina self over the last two regular seasons. He heated up in the playoffs last year, but don’t forget he didn’t open the postseason as the starter, instead sitting on the bench while Philipp Grubauer took his place. Over the last two regular seasons, he’s posted a GAA of 2.94 and a save percentage of .908, not exactly elite numbers. Those numbers got infinitely better during their playoff run, with a save percentage of .922 and a 2.16 GAA. Washington better find a way to bring playoff Holtby back, or the Hurricanes’ torrid second-half offense will have a field day. They’re sixth in goals per game since adding Nino Niederreiter to their lineup on January 18. The Capitals may have won the first two season matchup against the Hurricanes, but that was before Carolina turned their season around. With two games in three nights coming up between the two squads, we should get a better idea soon of how they stack up against one another.